Justin Wilson death: Indycar should adopt a canopy or makes another safety change. 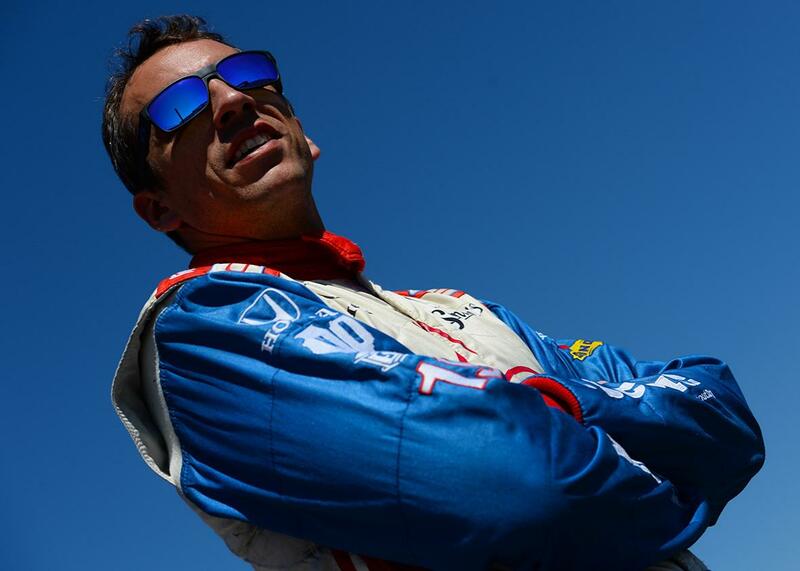 Better IndyCar safety would be a fitting legacy for Justin Wilson. Justin Wilson at the Auto Club Speedway on Aug. 29, 2014 in Fontana, California. It’s the randomness that gets to you. If you replay the video, you can see geometry and ill fate combine in a deadly dance. There is Sage Karam’s racecar getting sideways as he enters the first turn during the IndyCar race at Pocono Raceway in Pennsylvania on Sunday afternoon. * There is the car hitting the wall and spraying pieces of itself everywhere. There is a loose piece of the nose cone bouncing, bouncing, bouncing on the asphalt. Long seconds later, the dark shape of Justin Wilson’s car enters the frame. The bouncing nose cone kicks up into his cockpit. It hits Wilson in the head. The impact sends it rocketing a good 30 feet in the air. Wilson is already unconscious when the safety team arrives on the scene. On Monday, without regaining consciousness, Wilson, 37, died from massive head injuries. He is the fourth IndyCar driver to die from an accident on the track since 2003, and the first since Dan Wheldon, Wilson’s fellow Englishman and fast friend, was killed at Las Vegas Motor Speedway in 2011. It was yet another thudding blow for IndyCar, which continues to struggle as a sport despite the cultural re-emergence of the Indianapolis 500, where spectacular finishes have become the norm and the crowds have returned to their legendary levels. As with Wheldon before him, Wilson was one of the sport’s most popular figures, a genial man who was one of IndyCar’s most thoughtful advocates for driver safety. If his death results in fundamental changes to the sport to improve safety, it would be a fitting legacy, one that would do no actual harm to the sport he loved. When these calls for change have happened in the past, they’ve always been met with pushback. And yet, when change inevitably occurred, it only made the sport better. Every man or woman who climbs into an IndyCar and punches holes in the air at 220 miles per hour knows what the worst-case outcome of that can be, even when such outcomes depend largely on chance. What if Wilson had come along a nanosecond sooner or later? What if he’d taken an incrementally different line through the fateful corner? He didn’t. So, chance or not, he became the second IndyCar driver in 15 months to get hit in the head by debris; James Hinchcliffe suffered a concussion when struck on the track at Indianapolis in May 2014. (He survived his injuries.) And this becomes yet another occasion to raise the issue of safety in a sport that is largely antithetical to it. I can hear the old-schoolers warming up already, scoffing at Hunter-Reay by pointing out that motor sports are supposed to be scary. As driver Ed Carpenter described it, Wilson’s death was just a tragic case of what can happen to someone “doing what he loved to do, and what we all love to do.” But just because tragedy is a risk of motorsport doesn’t mean we can’t—or shouldn’t—make changes to make it less common. Watching footage of Eddie Sachs and Dave MacDonald burn to death at Indy in 1964 did not make me love motor sports more, or think “well, that’s how it goes.” Ditto watching the same thing happen to Lorenzo Bandini at Monaco in 1967. What possible boost did motor sports get from Formula One icon Ayrton Senna dying in Italy in 1994? Or NASCAR icon Dale Earnhardt at Daytona in 2001? Or Wheldon in 2011? “I got no idea what it is,” he said dismissively in the summer of 2000, according to motor-sports journalist Ed Hinton. Less than a year later, he became the fourth NASCAR driver in little more than a year to die from a basilar skull fracture—the very thing the HANS device was designed to prevent. In response, NASCAR mandated use of the HANS device, installed the SAFER barrier soft wall in more places at its racetracks, and instituted a number of other changes aimed at improving safety. Undoubtedly, IndyCar will respond to Wilson’s accident with a new development of its own. But if it happens, it happens, and hopefully in a way that improves safety. The sport will adjust. It will, after all, still be about punching holes in the air at 220 miles per hour. And if the vehicles doing the punching don’t look like they used to … well, you don’t see anyone out there driving the Marmon Wasp that won the first 500 in 1911. Or a front-engine roadster from the 1950s and 1960s, for that matter. It’s motor sports, after all. Change is and has always been one of its fundamentals. Change, in the end, is what keeps it alive.